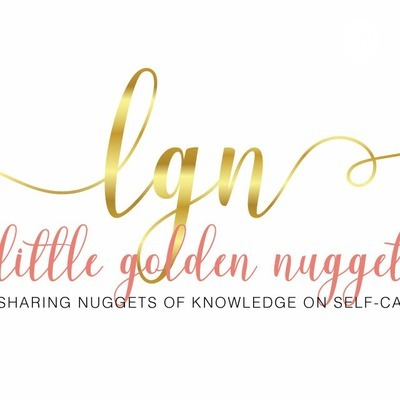 Dedicated to sharing little nuggets of knowledge on self-care and self-love! Self-care and self-love are absolutely essential to manifesting the life you desire. Let me ask you this; do you have 3 to 5 minutes in your day to invest in yourself? If not why not? Do you believe you are worth a small investment of time? Today I'm talking about what we consume and how it impacts us with a call to be mindful of what we are consuming. Is what we are consuming aligned with our vision and our purpose? If not...what are you going to do about it? This week's masterclass self-care "ah-ha" moment is brought to us by a wise 6 year old. I have recently been introduced to the concept of Resistance as it is shared by Steven Pressfield in the book The War of Art, he writes: "we can use it as a compass. We can navigate by resistance, letting it guide us to what is calling or action that we must follow before all others". Today, on the blue Monday I feel resistance but I am using this energy as my guidance to talk about the link between self-care and money management. Sent and discussed always with love. The planner in me is at a loss. My plan and vision has become clouded and has resulted in a feeling of discomfort. I now understand "Let go and let God", the plan is bigger than I can even conceive so it is time to let the Universe take the wheel. The only question now is how? This week my inspiration comes from the wise observations of a 6 year old boy. These moments of wisdom are always present as long as we are open to hearing with a loving heart. What your junk and what are you going to do with it? What are you inviting into 2019? On today's episode a share a story of how something as silly as not having a night time routine fueled thoughts of self doubt ... So silly really. What are you leaving in 2018? What are you making room for in 2019? Have you thought about it? Welcome to my weekly series. I'm so happy and wanted to share this energy with you as well the recipe I've written for maintaining this good energy. Being in the good doesnt mean living in denial or aspiring to only be happy, I want to experience a full range of emotions but with the care of returning as thoughfuly as posible to my best natural state. This is my good place. Its not a setback, it's a reset to a set up. How to shake it off when you simply cannot shake it off. How I inject positivity into my daily routine. Happiness and positivity and contentment all all inside jobs. In today's podcast I share with you all a trick I use to keep the flow of positive energy present throughout my day. "No excuses for the forces of love, you give what you get" Rhonda Byrne - Author of The Secret. Today I had the joy of speaking with Sherica about all things Self-care. 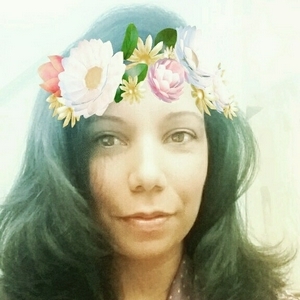 Sherica is host of the very popular podcadt: the "Heal Her" show and has been a voice that I have come to look forward to hearing as she regularly shares pieces of her life and journey with her listeners. Also seek her out on IG: healher1by1 You wont regret it! Time to put yourself at the top of your to do list. Inspired by Socrates, this week's podcast talks about the importance of giving yourself time to let the mind wonder and continue to grow. The greatest gift you can give yourself is time. Thank you for sharing this time with me! Intuition; our inner guide, our voice, our "gut" is never wrong. sometimes she speaks softly and other times very loud. Give yourself permission to trust in yourself and your intuition. This week, coming from a place of love and sharing what is not often talked about in friend and family circles, Gigi talks about budgeting and how bringing attention to your budget is a form of self-love and self-care. In this podcast she shares concrete examples of how credit management impacts your loan rates and how giving a little bit of love and attention can litterally save you thousands. Today Im sharing a piece of my life that reminded me of something so important. What is your definition of hell? This podcast is inspired by Wes Moore's definition of hell. Listen to see if you agree and if hearring it motivates you; as it did for me, to Just try already! Recommended book referenced in today’s podcast: Yoga Mind Suzan Colon, find it here: http://littlegoldennuggets.com/recommended-readings/yoga-mind-by-suzan-colon/ . . Lets talk about negative Nelly. I have a few in my circles, maybe you do too. Negative Nelly is a person is that person who has a complaint or a negative interjection for most things. Sometimes its not that easy to distance ourselves from her. So lets instead talk about a really cool and empowering tool that has worked for me to come out of these interactions feeling less drained, more in control and with more love. Today’s podcast is all about Maitri and how I’ve interpreted to be a positive way for dealing with the Negative Nellys in our lives. I cant beleive day 7 is already here. I've loved sharing these days with you. This is day 7 of 7 of self-care activities that have truly resonated with me and which I'm excited to share with you. Today we reflect. This is day 6 of 7 of self-care activities that have truly resonated with me and which I'm excited to share with you. Today we have the money chat. Yes this is a topic that should not be left out of your self-care definition. Money can be a major stressor and taking the power back will have positive impacts on your health and relationships. This is a day to NOT miss. This is day 5 of 7 of self-care activities that have truly resonated with me and which I'm excited to share with you. Today lets indulge already. This is day 4 of 7 of self-care activities that have truly resonated with me and which I'm excited to share with you. Today we talk about creating a link between love and gratitude. This is day 3 of 7 of self-care activities that have truly resonated with me and which I'm excited to share with you. Today I tried a new dance class and am still on cloud 9. On today's episode we talk about trying something new. This is day 2 of 7 of self-care activities that have truly resonated with me and which I'm excited to share with you. Today we use the 3 most important little words.. . This is day 1 of 7 of self-care activities that have truly resonated with me and which I'm excited to share with you. Today we flip the internal script.